2nd from left- Jean Russell. My father recognises a couple of additional faces. 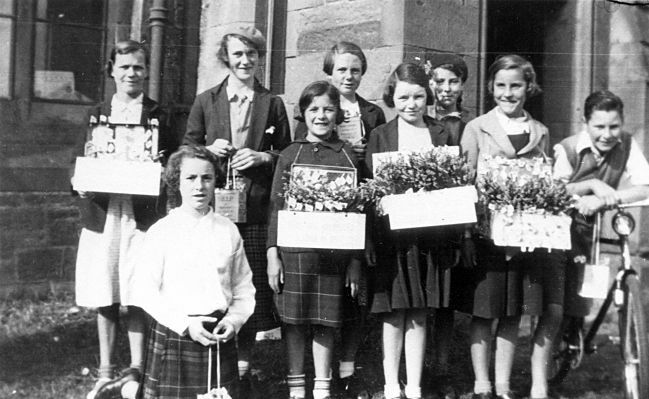 Rear third from left Margaret Ross (nee Isaccson), front far left Rosie Hossack, front row second left Florrence Gillies. Biddy Marks is standing to right of Eric Malcom.